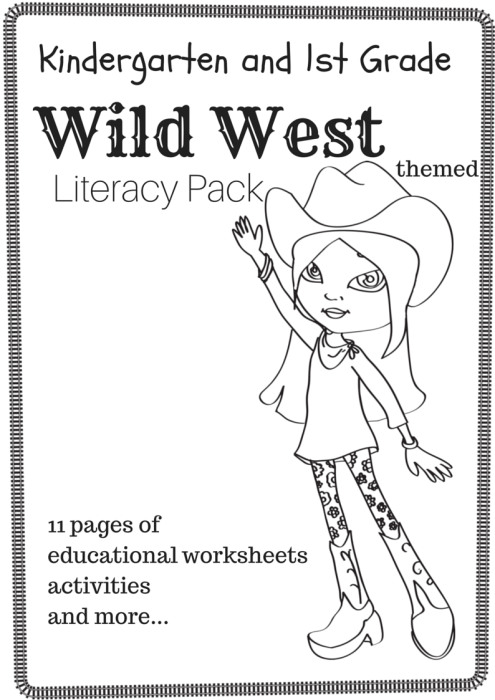 This is an 11 page educational printable pack in a Wild West theme that encourages literacy practice. Included are worksheets that involve reading, writing, letter recognition practice, letter sound practice, a matching game, crossword puzzle, sight words… This pack is black and white so it doesn’t consume all your printer ink. 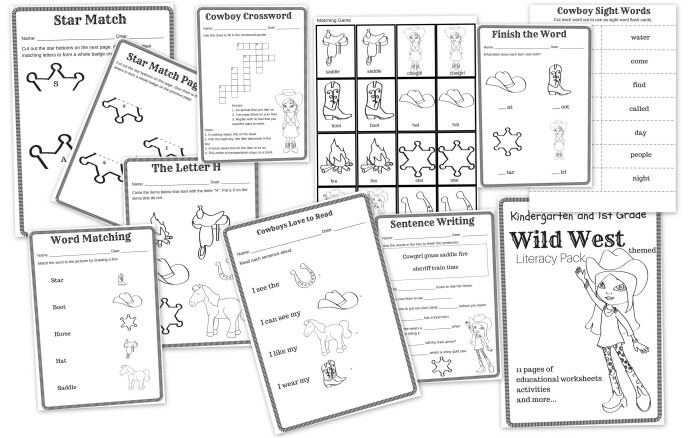 Also available in the Wild West theme is a preschool basic math concept pack and the K-1 Math Pack. This pack is PRINTER FRIENDLY and free to use for any daycare, church, school, or home school use.